When it comes to the barrier islands, there’s much more to consider than the stretch of sand along the oceanfront—the full barrier-island system includes the layers of sediment buried beneath the island as well as the marshes and lagoon behind it. Each of these components interacts with the others as barriers islands grow, erode, and move in response to sea-level rise. 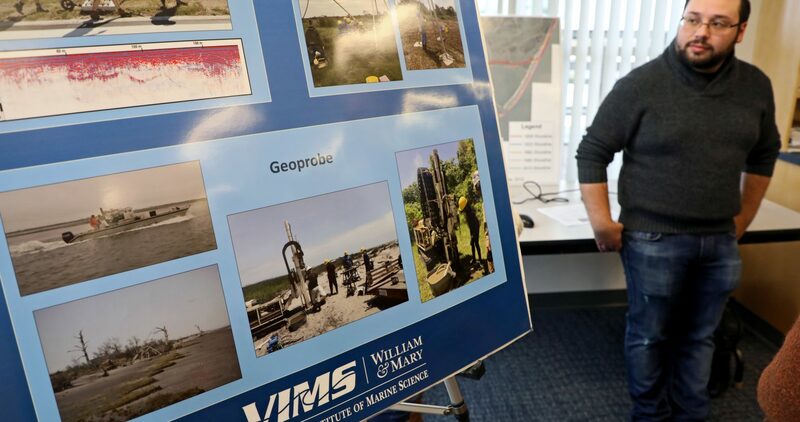 Explaining this key relationship was the focus of an Eastern Shore workshop held in Wachapreague Nov. 9. 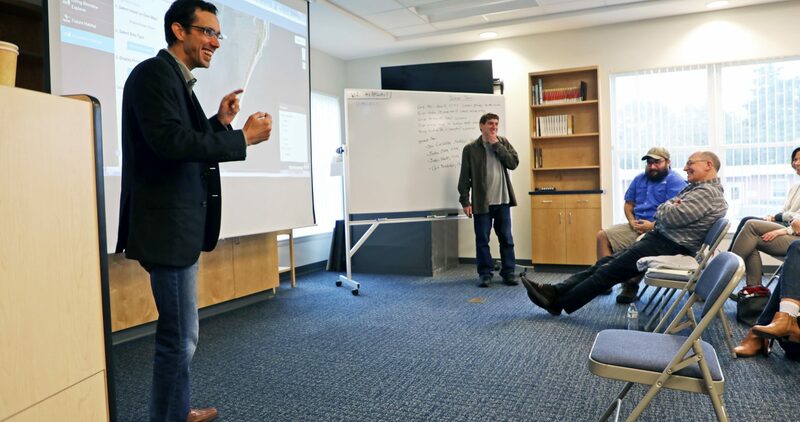 The workshop brought together local and regional leaders with an interest in the barrier-island system, where researchers from a Regional Mid-Atlantic Sea Grant Research Project focused on Delmarva’s barrier-island systems presented their research and the new model they developed. 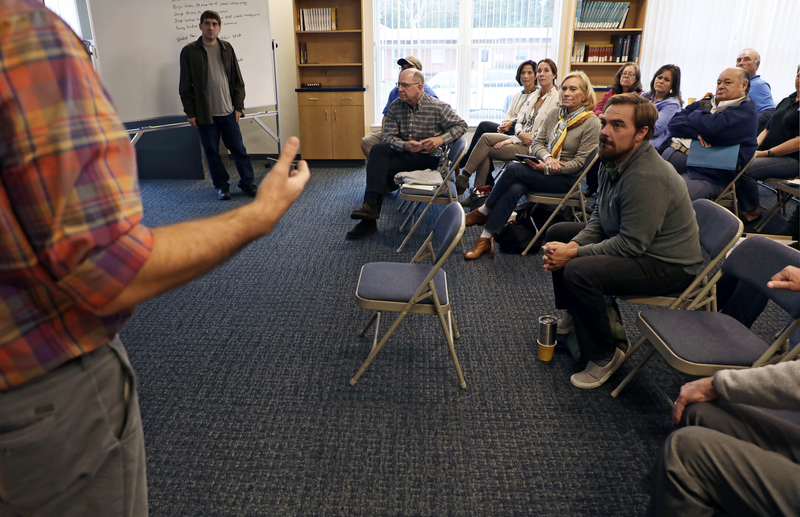 This workshop was the second of two regional workshops for stakeholders to learn about the group’s research. 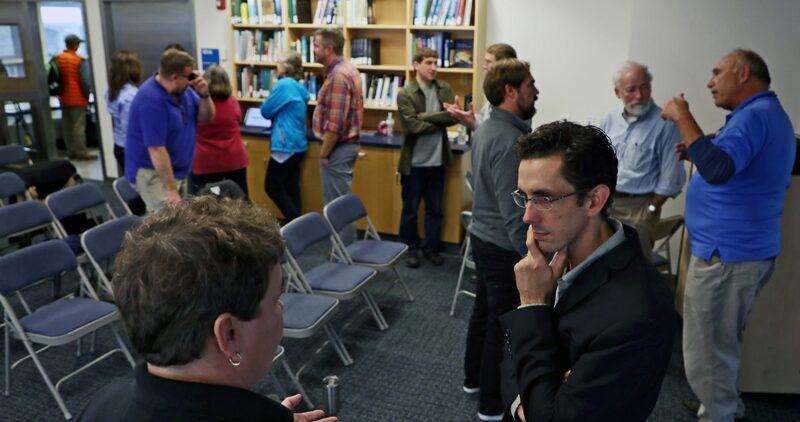 One of the workshop’s leaders, Chris Hein, presented his Virginia Sea Grant-funded research on the barrier islands, along with Justin Shawler, a VASG Graduate Research Fellow and Hein’s PhD student, along with researchers from universities in Maryland, Delaware, and New Jersey. 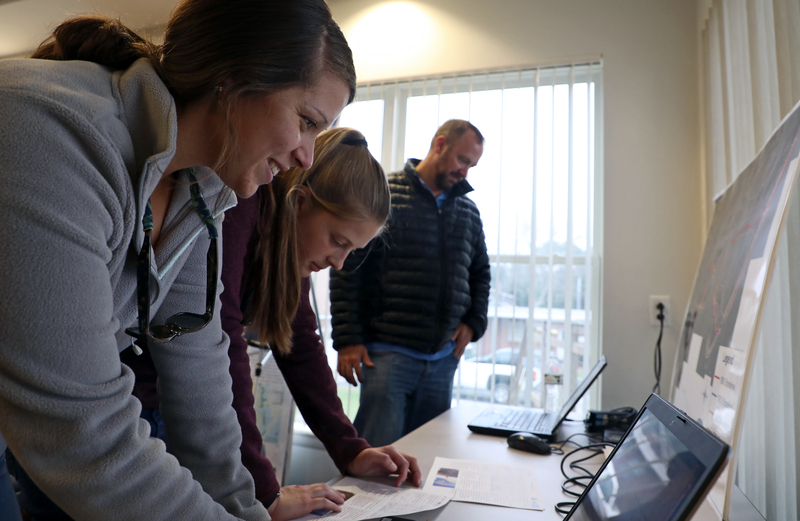 “I think we’ve learned a lot from this research study, and hopefully now we’ve been able to share that with the people who are actually making the decisions and doing the work out there,” Hein, an assistant professor at the Virginia Institute of Marine Science (VIMS), says. 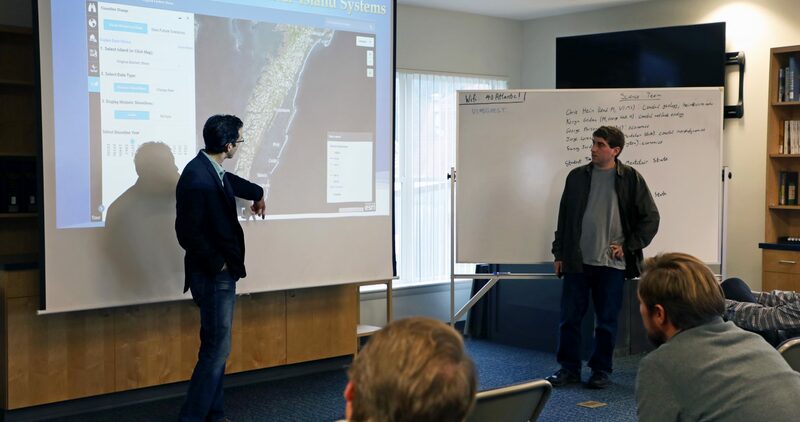 Workshop participants were able to operate the model to look at possible future changes on Cedar and Parramore Islands. 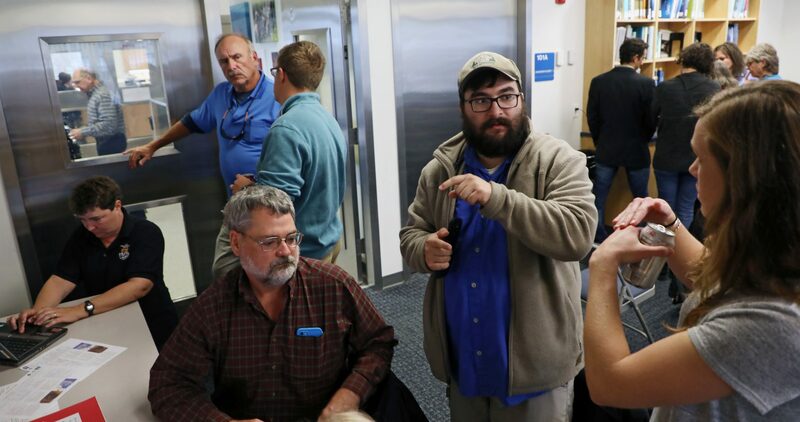 After entering information like the width of the barrier island, its marshes, and the lagoon behind it, model users get a visual representation of how the barrier system may change over the course of decades or centuries. 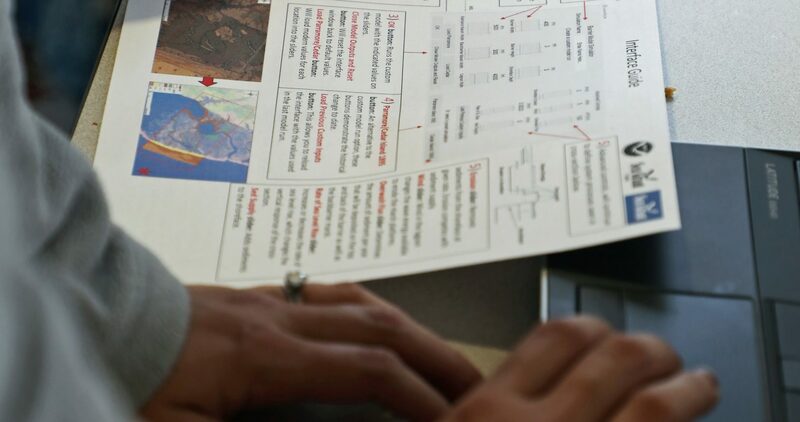 The model also shows the influence of sediment deposits, wind, sea-level rise, and the overwash of sand from the front to back of the island. 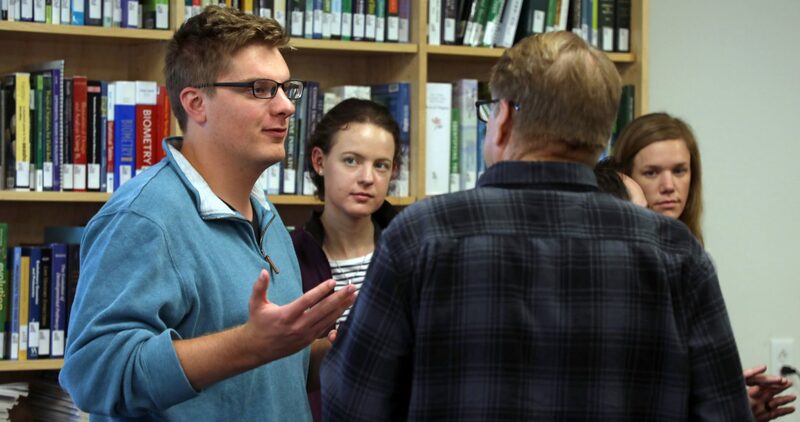 The researchers also discussed the scientific principles embedded in the model. Plants help marshes build up by depositing organic matter into the soil and holding sediment in place with their root systems, but if the water levels rise too quickly, the plants will die and the marsh will disappear. The marshes behind barrier islands, in turn, can help prevent sand from washing over the island and dissipating in the lagoon. Without the marshes, barrier island erosion and migration toward the mainland shore will accelerate. 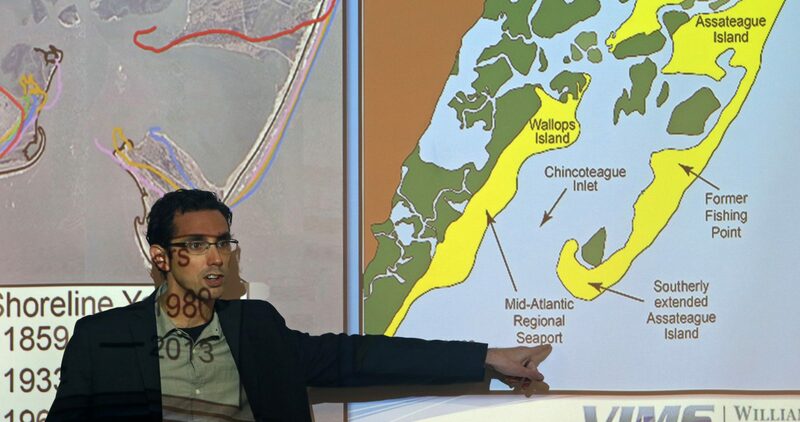 The islands’ futures are also influenced by sand that erodes off of coastal cliffs in Delaware or Maryland and is carried to Virginia’s barrier system by storms or by waves. Without the marshes, barrier island erosion and migration toward the main shore will accelerate. 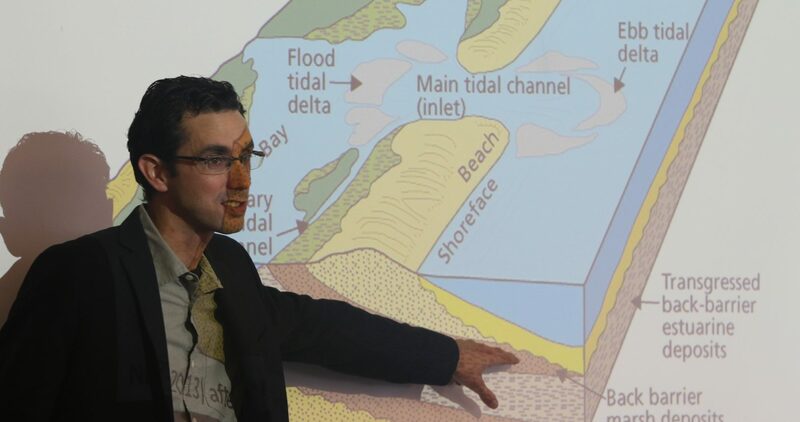 The islands’ futures are also influenced by sand that erodes off of coastal cliffs in Delaware or Maryland and is carried to Virginia’s barrier system by storms or by waves. 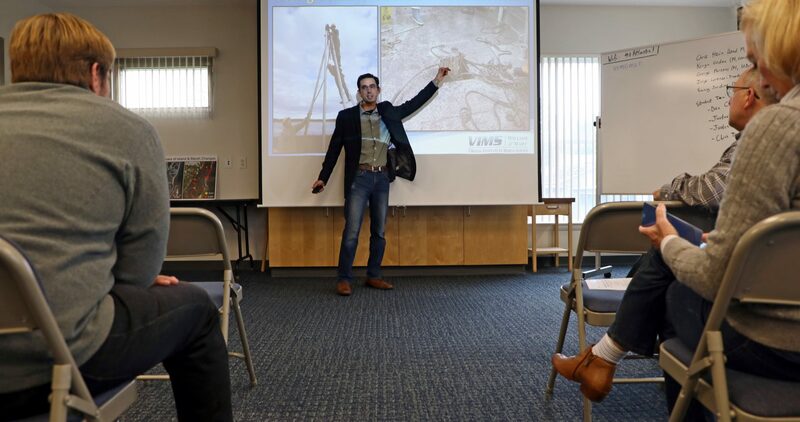 "This is the type of connectivity along the entire coast that we need to be thinking of, and it doesn't stop at the state border, nor does it stop at the jurisdictional boundaries,” Hein emphasizes. 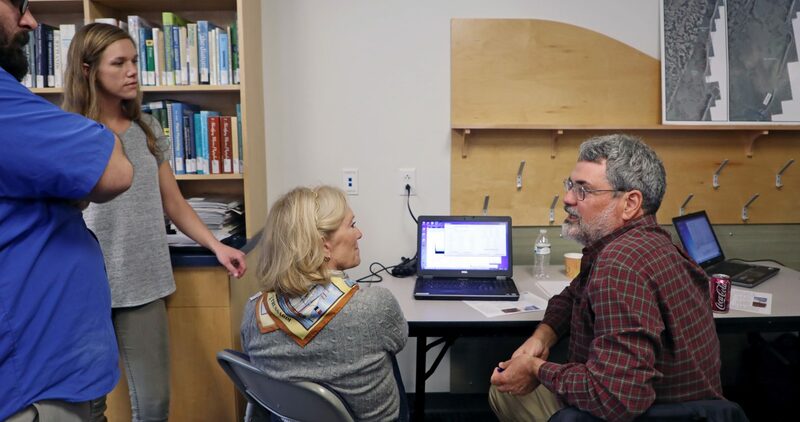 These workshops were an important first step in bringing the science to the community, and the research team plans to continue outreach in the future. 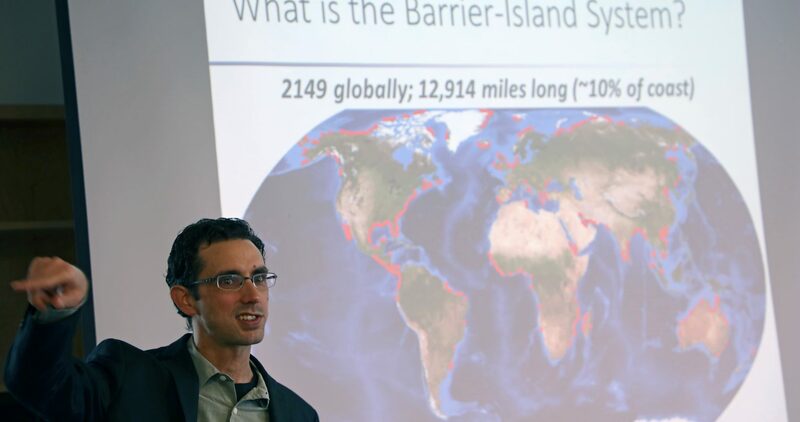 Hein says he hopes to incorporate the barrier system model into The Nature Conservancy's coastal resilience tool and share the scientific information with other resilience planners. 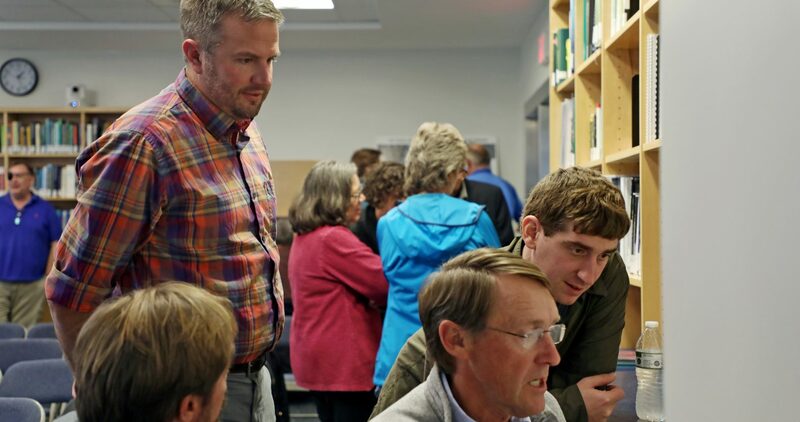 In the meantime, Curt Smith, director of planning for the Accomack-Northampton Planning District Commission and a co-leader of the workshop, added that the model will be immediately useful for a number of planning initiatives, including the Eastern Shore of Virginia Climate Adaptation Working Group. 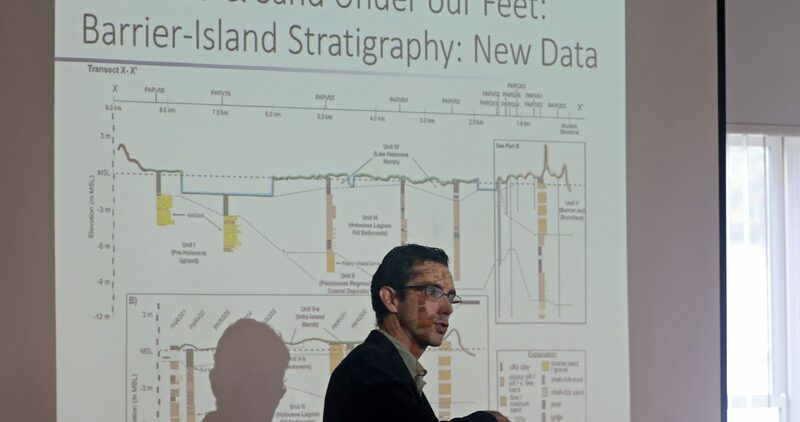 “Without that information available, the land managers on the islands and in the coastal systems here just have not had the ability to include it in their management decisions,” Smith says. 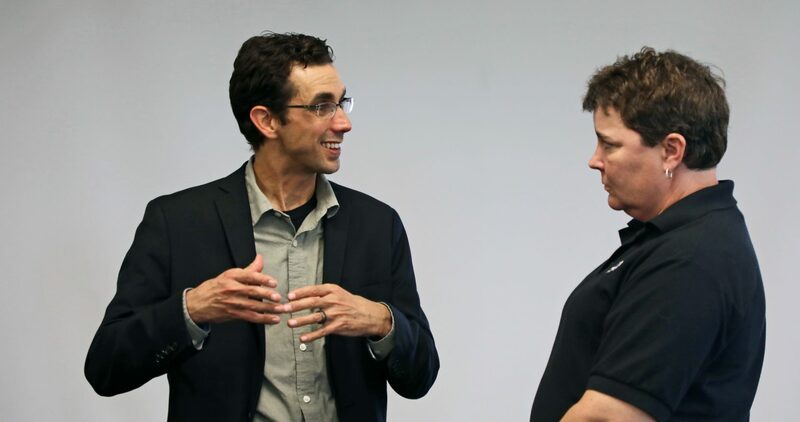 “We hope that the model will present an opportunity to provide some utilities for some of this new information." 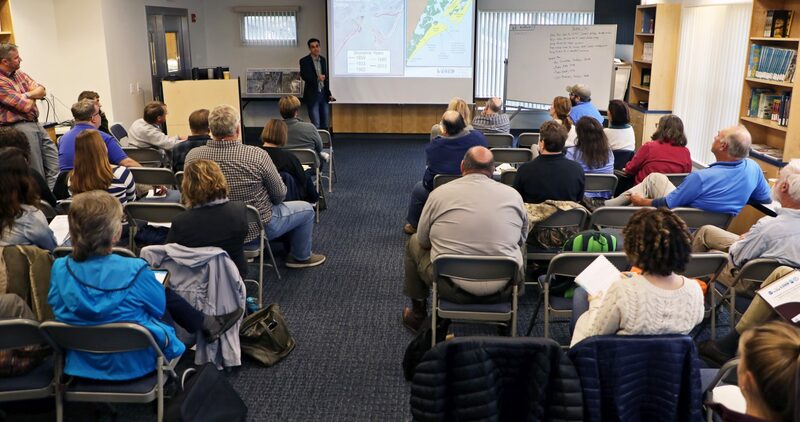 More information about Hein’s barrier island research can be found here , and more information about barrier island modeling can be found here . 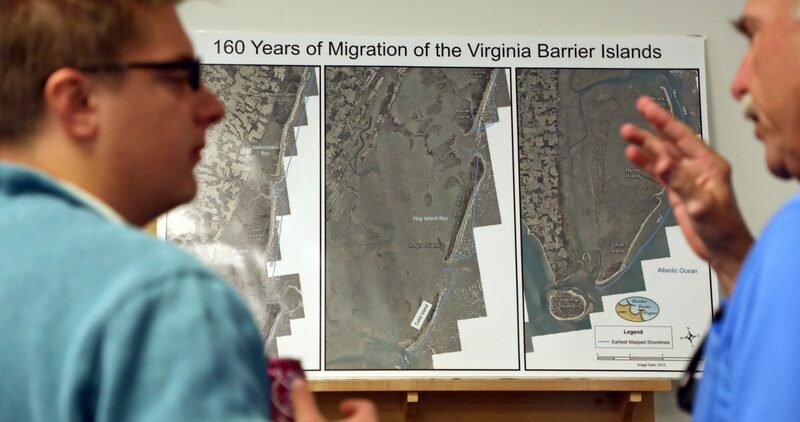 Virginia Sea Grant-funded researchers presented a model of the barrier-island system to community members and regional resource managers on Virginia’s Eastern Shore. 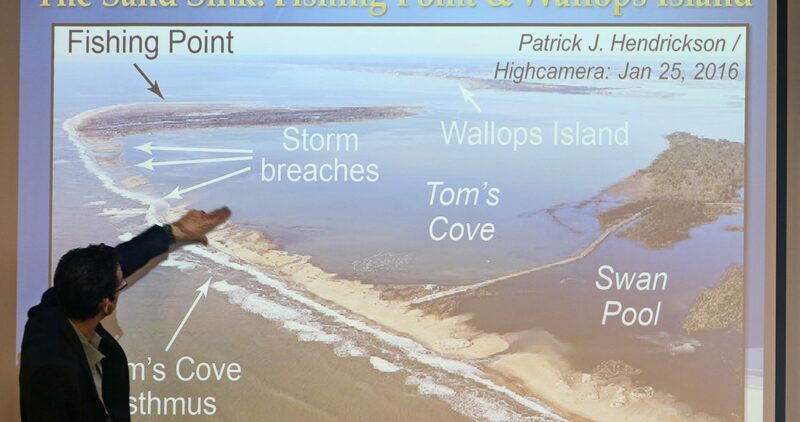 The barrier islands along the Eastern Shore of Virginia are part of a dynamic system that is affected by marsh growth behind the islands and sand transport from Delaware and Maryland. 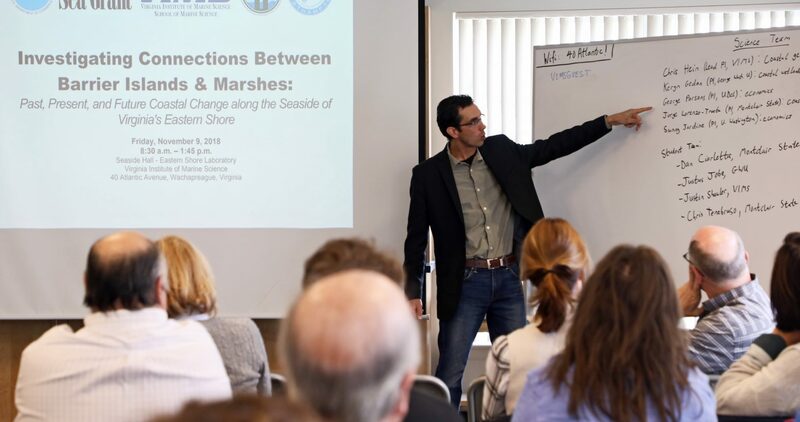 “It allows barrier islands not just to move, but to grow higher or lower, to shrink to erode to expand, and the marshes to do the same things on the backside as well,” Hein says. 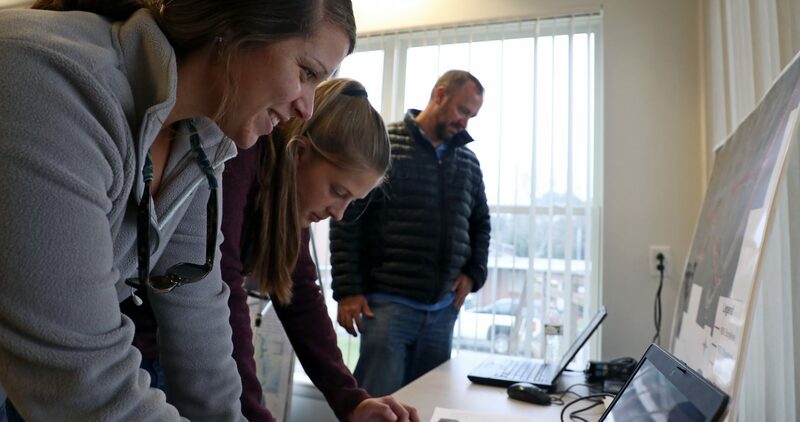 These workshops were an important first step in bringing the science to the community, and the research team plans to continue outreach in the future.